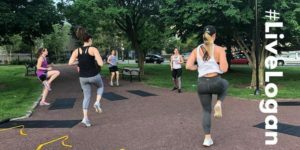 Join Shoshana Katz of BPM Fitness for a strength training and resistance band class at The Logan hotel followed by a DIY facial led by The Logan’s Spa manager, Lanez Perry. Work up a sweat that will leave you feeling accomplished, empowered and challenged. Then, cool down with a DIY facial to learn how to best take care of your skin after a power session. Find your inner athlete today! Please bring a water bottle! We will supply all other props.